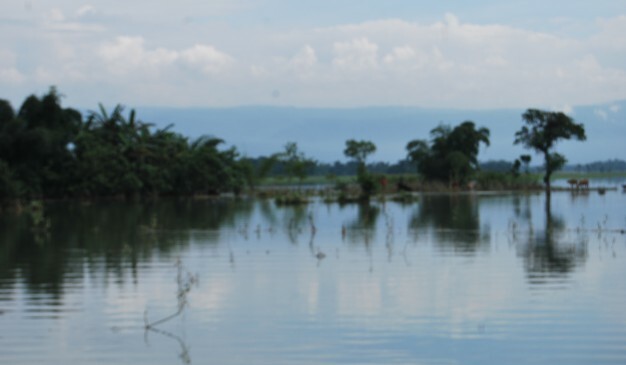 It is located 25 kilometers North of Sylhet City in Gowainghat Upazila. There is more than one way to go to Bisnakandi. 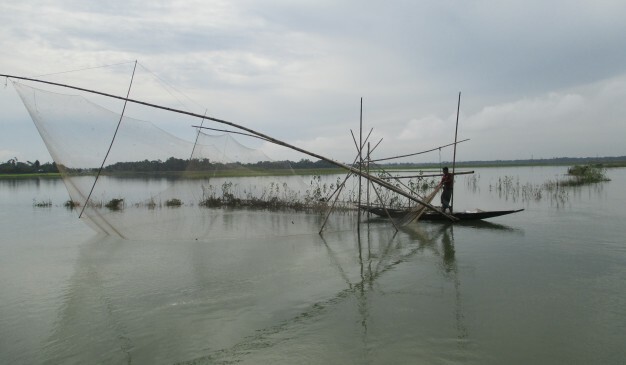 Tourists can use the Sylhet-Guainghat Road via the airport and take a left turn to reach Hadarpar from where a local boat may be hired to arrive at Bisnakandi. 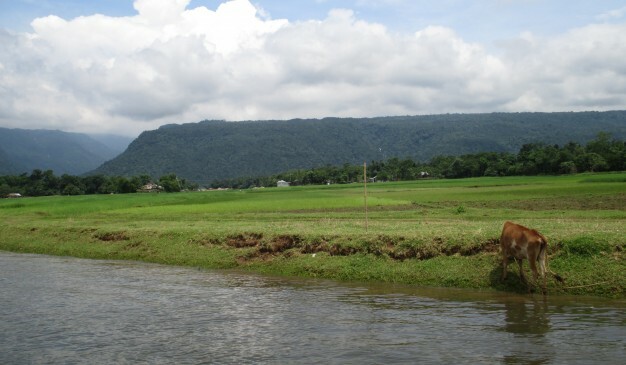 Visitors can go to Hadarpar by CNG-run auto-rickshaws, which are available for hire at Amberkhana Point in Sylhet city. 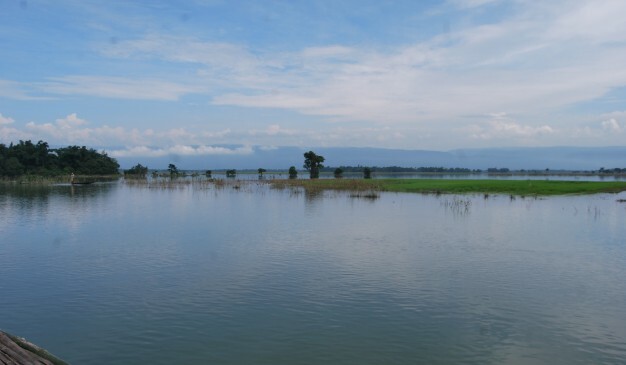 An alternative would be to go to Pangthumai first, and then hire a boat near Borhill Fall and ride along the branch of the Piyan which flows west towards Bisnakandi. 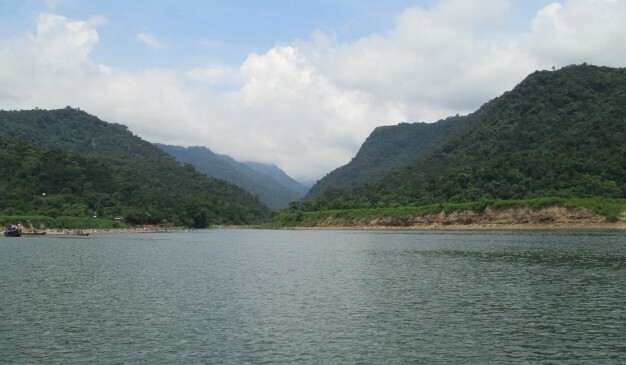 The boat ride, which takes a little over an hour, on the sinuous river with lush green mountains on both sides is an unforgettable experience. 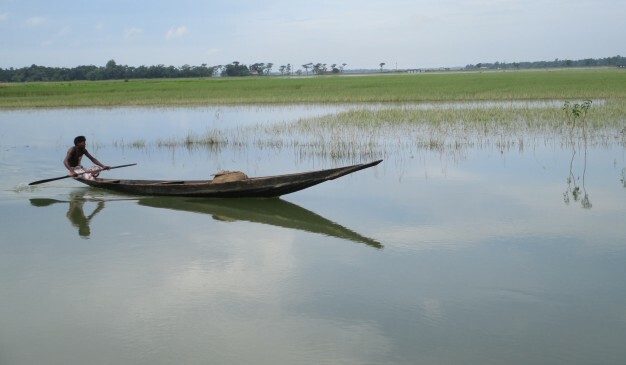 It is located 315 km away from Dhaka. 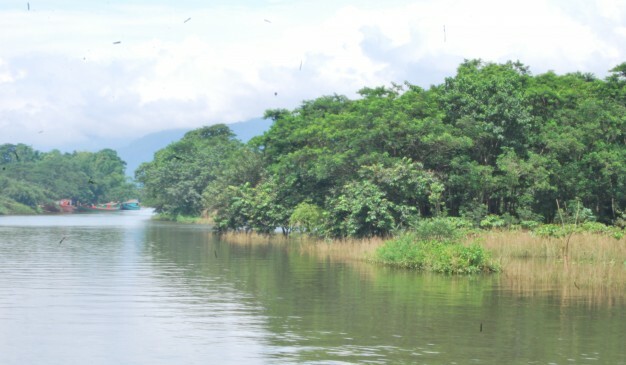 Bisanakandi is 25 km away from Sylhet. You can take bus or CNG auto-rickshaw heading towards Sylhet-Gowainghat highway. 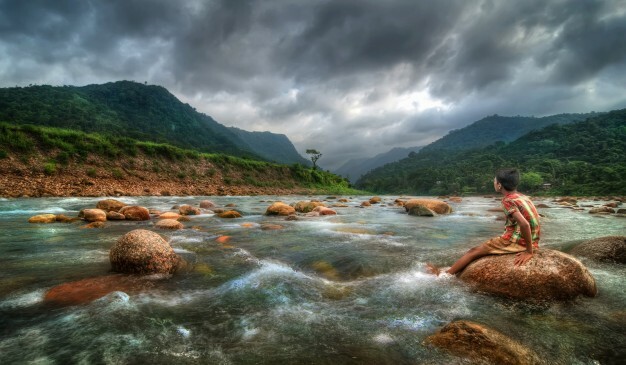 At first you need to head to Sylhet from Dhaka. There is no Dine facility in Bisnakandi. 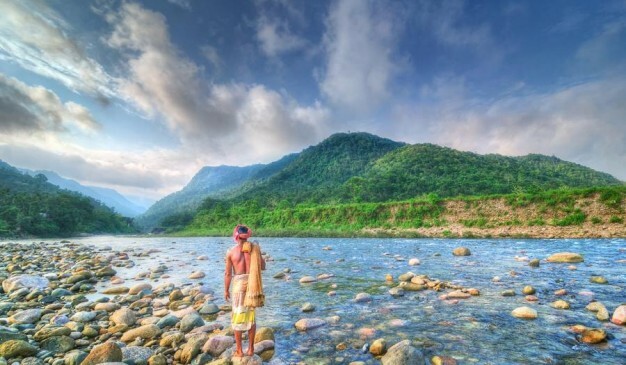 If needed tourist has to take packed food from Sylhet. Eating facilities are available here at reasonable price. Local Restaurants offer delicious foods and beverages. Since Bisnakandhi Zero Point is literally Bangladesh- India Border , Tourist should take exta care. During summer it might be dusty and hot, need care for under age and seniors. At Monsoon sometimes it may affected by flush flood. So get weather information is advisable. 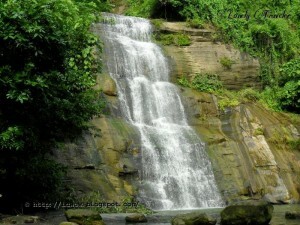 Hum Hum Waterfall is situated in Razkandi reserve forest in Moulvibazar District. It was discovered in 2009. It is actually a place where you can find the real taste of adventure. 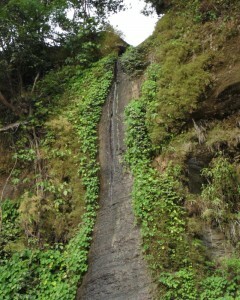 The height of the fall is about 135-160 feet. 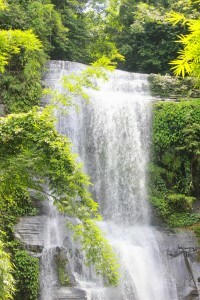 It would be the best to travel this place in rainy season to discover the unlimited beauty of the fall. It is a matter of wonder that most of the Bangladeshi people do not even know about the fall. You can go throw bus or train from Dhaka to Sreemangal. You can find some hotels there. The next step is to go kolabagan bosti. 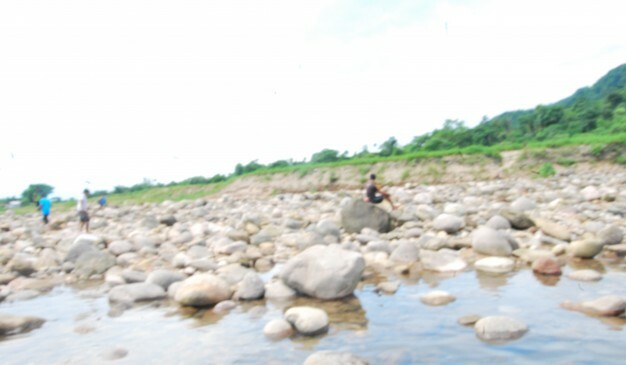 For going to kolabagan bosti, you need to hire a jeep. The most important thing is you need to start your journey early in the morning about 5-6 am. Carrying Knife, torch, dry food, fresh water, saline, glucose, and fast aid is a must for everyone. 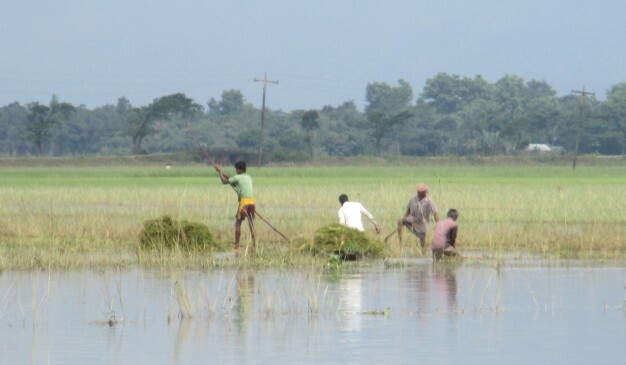 Now a days, there are a lot of guides available who can help the tourists to reach Hum Hum. Take some bamboo sticks as a support for you to from kolabagan which will really helpful in the whole journey. Since starting to walk through this for about 30 minutes, the tourist will have to get down in a natural fountain (locally called chhara or nala), where the tourist will have to walk through water. 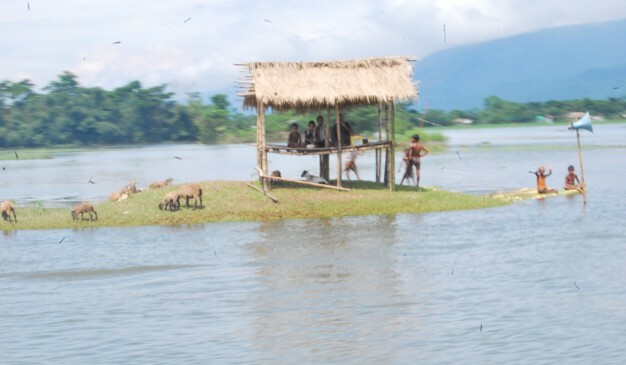 The height of this water level will vary from ankle to thigh level time to time. 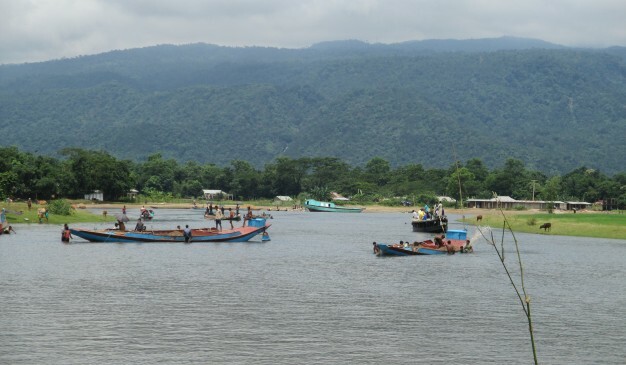 Many attractions are for the tourists around Cox's Bazar. 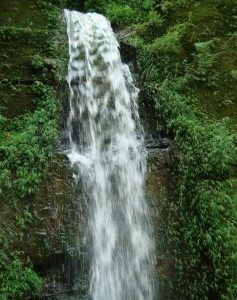 You can go Himchhari to see its Waterfall, this is famous for waterfall, though in the winter season it dwindles but during the rainy season it's really a fabulous and full waterfall can be enjoyed. Himchhari is just around 5 kilometers apart from the main town. You can reach at that place by any kind of vehicles. To enter the area, you'll need to buy tickets. Which is around 20 taka. There is only two place that you can enjoy at the park, one is the falls, and another one is the top of the hill.